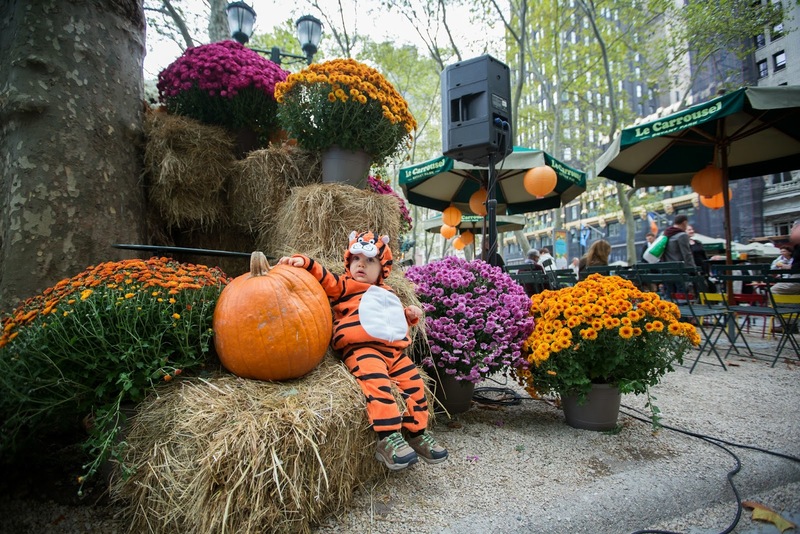 It’s nearly time to attend the ghoulest Halloween party in town at Le Carrousel in Bryant Park. Bring your little monster to Le Carrousel for Tricks and Treats, an hour-long bash featuring Justin the Magician performing mysterious feats of prestidigitation, and Flaubert Frog telling some very spooky stories. There’ll also be face painting, pumpkin decorating, and treats for everyone. Tricks or Treats is from 1:00-2:00pm on Saturday, October 26 (rain date is Sunday, October 27). It’s free and open to all kids accompanied by parents. 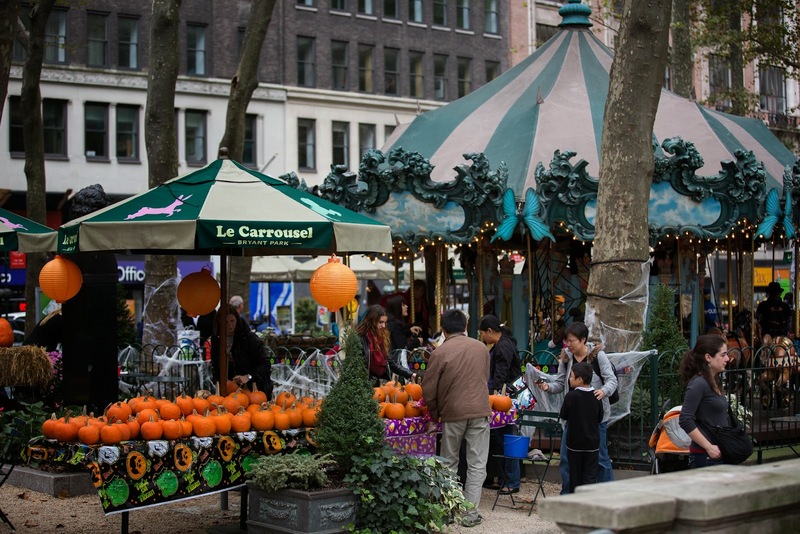 Afterwards, take a spin or two on Manhattan’s most charming carousel. Rides are only $2, and a Frequent Rider card gets you 10 rides for $15. 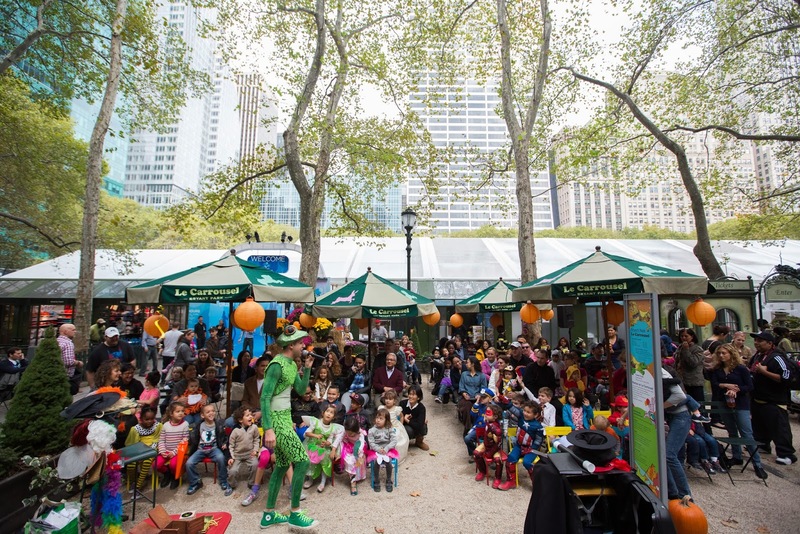 Flaubert and his magician buddies will also return for a six week run of free children’s entertainment on weekends beginning on November 9. On Saturdays, our favorite amphibian hosts Le Carrousel Kids from 1:00-2:00pm. Flaubert is a seasoned pro, so kids and their parents can expect the same stimulating mix of stories, songs, and games that is his trademark. And on Sundays through December 15 from 1:00-2:00pm, Le Carrousel Magique returns with some of the most amazing magicians around. Of course all children’s programming is free and open to all kids and their parents.